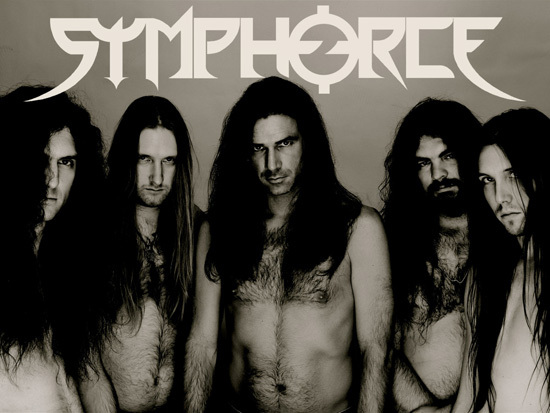 About 8 years ago, vocalist Andy B. Franck formed SYMPHORCE, a band that has traveled a stony yet ascending road ever since. Playing modern, emotional and energy-laden songs, the band has gained an excellent reputation and a loyal fan base the world over. 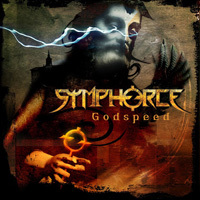 Following their last two albums “Twice Second” (2003) and “GodSpeed” (2005) SYMPHORCE are poised to deliver their new effort “Become Death”, which is set to become the standard by which bands of all genres will have to be measured in the future. 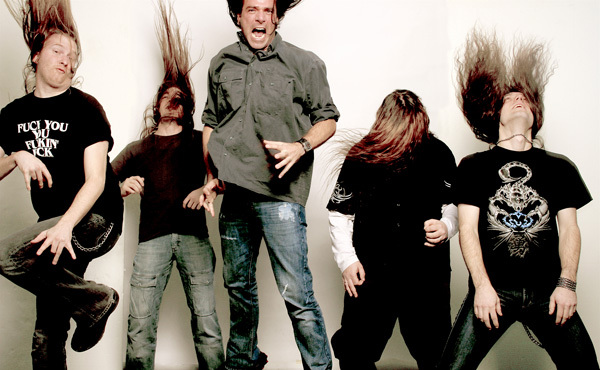 With their debut “Truth to Promises” (1999 – Noise Records) Andy and his band delivered a strong piece of work that immediately gained a lot of attention and fantastic reviews. Andy, guitarist Cédric “Cede” Dupont and bassist Dennis Wohlbold became the creative core of the band, producing razor-sharp riffs and catchy melodies as if there were no tomorrow. 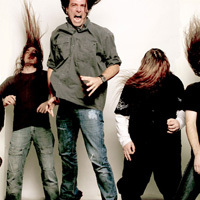 Following a tour supporting MERCYFUL FATE, the band released their sophomore album “Sinctuary” (2000 – Noise Records), which managed to spread the name SYMPHORCE even further. Both fans and press hailed SYMPHORCE as one of the most promising and hopeful bands of the future, and they were right… The last few line-up problems were solved when guitarist/songwriter Markus Pohl and drummer Sascha Sauer joined the band. After playing a number of shows and festivals, the band devoted itself to the creation of new songs. 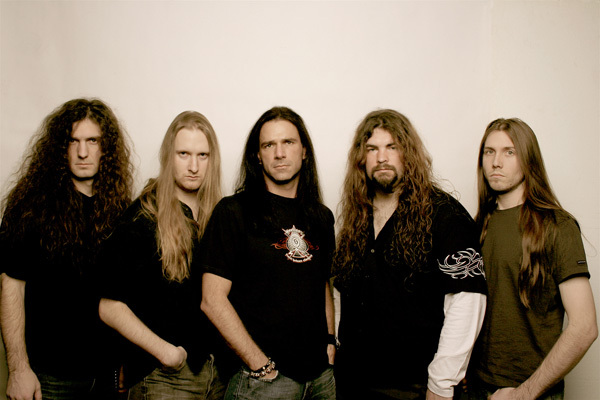 Now working with Metal Blade, SYMPHORCE recorded their following two albums, “phorcefulAhead” (2002) and “Twice Second” (2004) at the House of Music Studios with Achim Köhler (BRAINSTORM, PRIMAL FEAR) producing. “Energetic”, “modern”, “with real bite” are just some of the descriptions that the worldwide press gave the band. 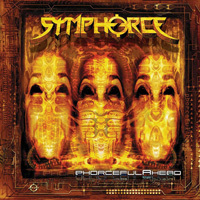 Through tours supporting the likes of KAMELOT and GRAVE DIGGER, as well as several festival shows, SYMPHORCE established themselves as a first-class international live act. 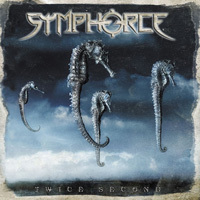 Despite the difficulty of following up the press and fans favorite “Twice Second”, SYMPHORCE delivered once again. Everybody, from the last few skeptics to the true “phorceheads”, was equally surprised. “GodSpeed” showcased a band that had become a staple in the music world of 2005. Working with producer Dennis Ward (ANGRA, PINK CREAM 69) at the House of Music Studios, the band created a modern yet timeless album, far beyond the confines of so called power metal. A tour with SONATA ARCTICA and SYMPHORCE‘s US live debut followed, making the band a worldwide name. 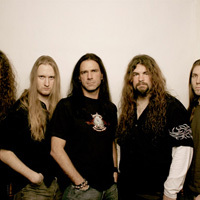 March 2007 will bring the release of “Become Death”, the sixth album, featuring new drummer Steffen Theurer. Produced by Dennis Ward and mastered by Achim Köhler once again, “Become Death” is a true and unexpected progression for the band. 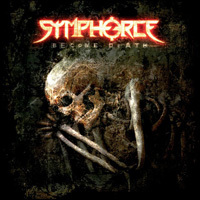 SYMPHORCE can easily be mentioned amongst the most innovative bands of our time, and “Become Death” is bound to become an essential album for years to come!